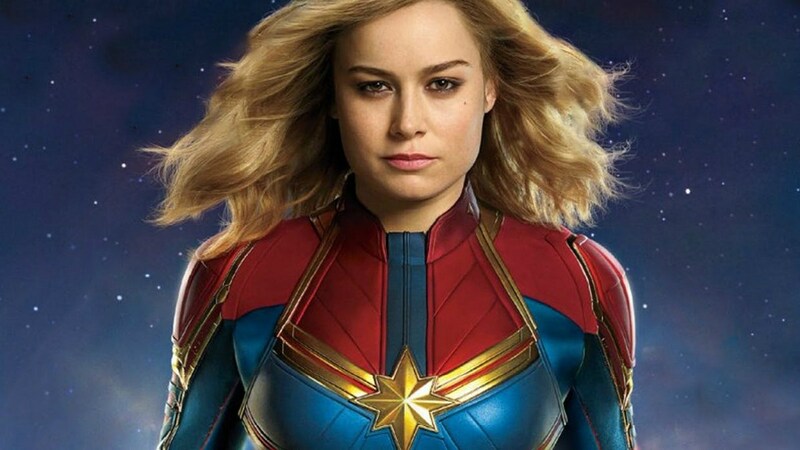 How 'Captain Marvel' proved to me I have lost faith in humanity – AiPT! It took a superhero to make me realize how little I think of people. It is very hard to judge oneself. Sure, we are quick to to say a seflie turned out bad or notice how fat we look in a particular outfit. When it comes to true introspection however, things become a little more difficult. No one wants to admit they are not as funny as they think or they are not the expert at Excel everyone tells them they are. Having to listen to constructive criticism can be extremely difficult for some people. Perhaps unsurprisingly, it is incredibly easy to judge others. Telling someone about their bad hair day or odd taste in food is second nature to most people. And since most people will be quick to admit they are not superficial, they will also have no problems telling someone when they cannot take a joke, are too sensitive, or any number of things that take a deeper understanding of someone. I used to think that I was the opposite. Unless someone tells me otherwise, I always think I am doing the right thing. I never am quick to rush to judgement and tend to give people the benefit of the doubt. But as we near the release of Captain Marvel, I have begun to realize that I have no problems judging people I do not know. The internet is a wonderful thing. We can share ideas, learn new things, and discover all types of entertainment. It has brought us all closer together and provided new opportunities that did not exist just a few years ago. Which is why it is unfortunate that so many people use it to further their horrible agendas. (In fairness, those who go on the internet for the sole intention of being hateful is less than those who use it for constructive reasons. But those people make sure their voices are heard.) Everyone has a right to their opinions – even the most ignorant and hateful of us. But mass campaigns to boycott franchises, personal attacks against women who have achieved great success, and taking pride over chasing people from social media goes beyond having a different philosophy on life. Captain Marvel is a prime target for these short sighted attacks. A woman starring in a superhero movie is not a novel idea. Last year’s Wonder Woman proved that audiences will come out in droves to see a well made superheroine film. Yet, since the first trailer, Brie Larson and Captain Marvel have been under intense scrutiny, which worries me. I could care less how much Larson smiles or if a female hero is the most powerful in the entire universe. But I also know that for a lot of people these are deal breakers. I have a real fear the movie will be a box office failure. How well a movie performs at the box office does not affect me. Either I enjoy the movie or I do not. I have no personal stake in how much money a film makes. That being said, I do not want to see a movie fail based on a smear campaign. Despite the fact ticket sales are moving along at a nice pace, I would not be surprised if Captain Marvel ended up being a flop. It all comes back to one simple reason: the internet’s vocal minority are a powerful enough force to be reckoned with. The 2016 remake of Ghostbusters confirmed that. Captain Marvel may end up being an awful movie. And who wants to pay to see a bad movie? But for some, it does not matter. Based on silly reasons, some people will never watch the movie no matter how good it may end up being. Regrettably, they will make it a point to tell everyone why a movie they have never seen has ruined the Marvel Cinematic Universe. Even worse, some people will buy into their rhetoric.